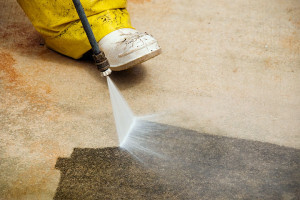 Oliver Twist Pressure Cleaning, Inc., has been serving South Florida, Palm Beach County, and especially the Pressure Washing Services In Palm Beach Gardens area of over a decade. Using quality products with a gentle cleaning process, pressure washing projects are completed in the most professional manner that preserves your property as well as landscaping while removing dirt, grime, algae or whatever else has covered up the beauty within it. Interior and Exterior Cleaning of Gutters– Experts recommend that business and residential homes have their gutters cleaned twice a year, every fall and spring. Climbing up on the roof or navigating landscaping while doing this process is dangerous. Trust a professional pressure washer to handle this service for you to prevent an accidental fall or injury. Low Pressure Roof Washing- In South Florida, environmental conditions cause roofing shingles to turn black, normally caused by algae or seasonal related issues such as pine needles, leave droppings, or pollen. An inexperienced person may cause serious damage to the shingles as well under them if not cleaned in the proper way. Oliver Twist Pressure Cleaning are trained experts who will do the job right. Vinyl Siding Pressure WashingDo you have black streaks running down the side of the vinyl siding. This is normally caused by the rain water washing it off the roof on to the side of your house. Our Pressure Washing services will remove it so that the your home returns to its original look. Concrete Cleaning, Driveway Power Washing– If you have decided to do roof pressure washing or house pressure cleaning such as siding, you may wish to have your driveway or sidewalks pressured cleaned as well. This process makes your house stand-out and has been known to increase the value of a home significantly. Blocks and Brick Power Washing-In the same way that mildew, mold, and dirt is collected on vinyl, brick also attracts those elements. Depending upon the type of brick, adjustments can be made so that the the surface grime is removed without harming the brick or block. Again, if you do not choose the right pressure washing company, the structure of your house can be compromised so go with the pressure washing professionals at Oliver Twist Pressure Cleaning, Inc.
Deck and Patio Pressure Washing / Wood Restoration– Extreme care must be used in the pressure washing of wood as it could be easily damaged by too much pressure. Additionally, after the pressure washing treatment, the wood will need to be neutralized and sealed which will leave your deck, patio, or pool area looking new again. Let us remind you that the above mentioned services are just a sample of what we are able to do for you. 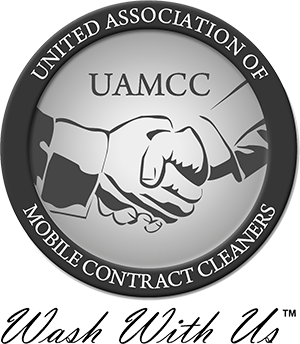 If you’re in need of cleaning, the next step is to call us at (561) 248 1053 or Fill out our online form today, so that we can ask you a few questions before we ask you for your business.